Posted on February 6, 2017 at 2:07 pm. It has become obvious over the years that guests visiting Pondoro do not only want to experience a safari, but that there is a need to understand what goes on behind the scenes of protecting a wildlife reserve. Guests can now get the chance to meet the people that help to protect Africa’s precious wildlife. 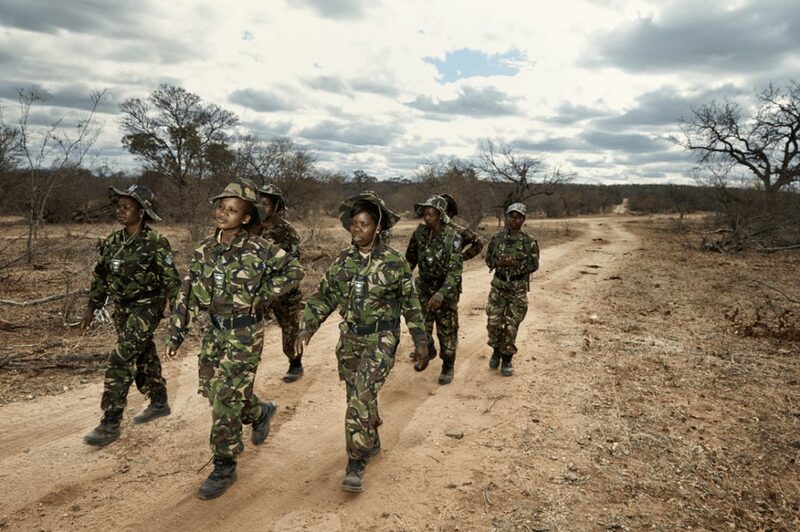 No one is more famous than Africa’s all woman Anti-Poaching team. Pondoro is very excited to announce a Black Mamba Anti- Poaching tour done every Wednesday and Saturday. Guests will be able to meet the Black Mambas, find out why they are so effective and discover the rationale behind this ground breaking initiative. This include a visit to the operation’s room, a presentation and a lot more. This is a great opportunity to do your bit to save Africa’s wildlife and more specifically its rhinos. All funds will go directly to the Black Mamba Anti-poaching unit. 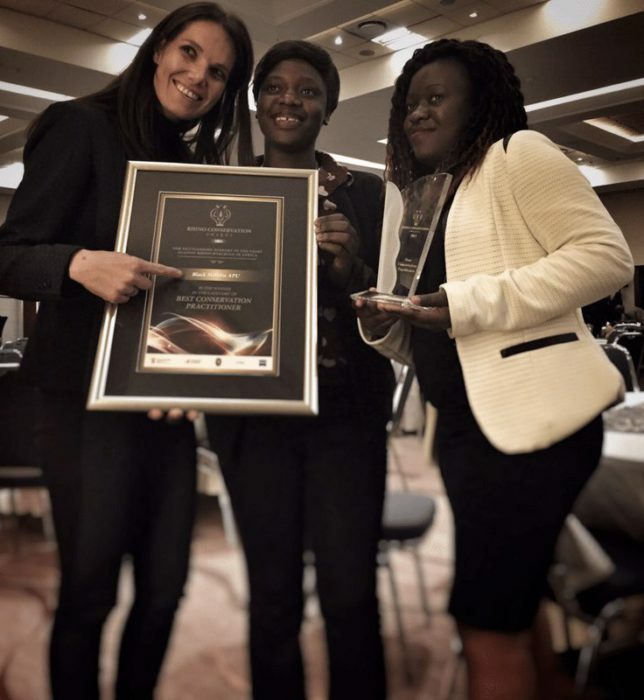 Who are the Black Mambas? The Black Mamba APU was founded by Transfrontier Africa and was created to protect the Olifants West section of Balule Nature Reserve which form part of the Greater Kruger National Park. Starting off with a team of 6 the Black Mamba APU has grown to cover the entire Balule area. The Black Mamba APU is the first of its kind in the world in the sense that most of their teams are women. They operate in an open system that is directly connected to the Kruger National Park. They are therefore custodians of the wild animals that roam freely throughout Balule Nature Reserve. 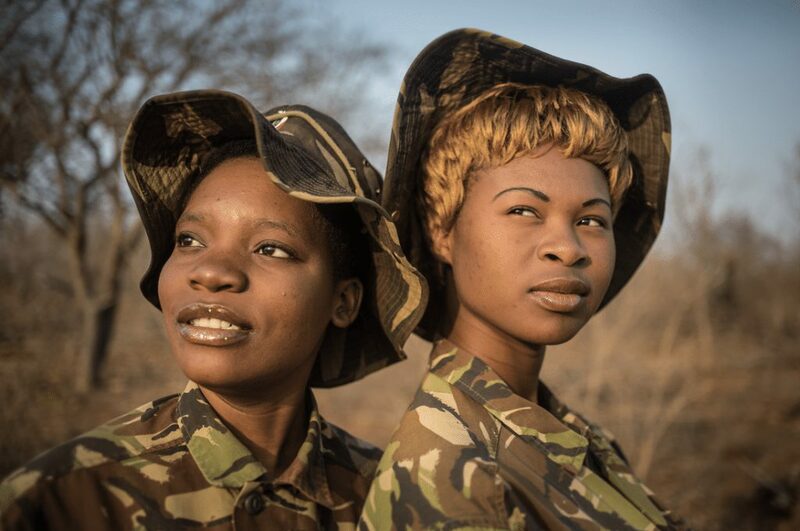 The Mambas maintain and protect the western boundary fence of the Greater Kruger National Park, a significant barrier between human-wildlife conflict and poachers entering the protected areas network. Anti-Poaching is a major need in the area as the reserve is constantly plagued by rhino and bush-meat poachers. Apart from antelopes, other endangered species such as wild dogs and cheetah are also often the victims to snaring. The Black Mamba APU search and destroy poachers’ camps, wire-snares and bush-meat kitchens every day. Aerial support, specialist dogs, early detection and rapid response are all that stands between the wildlife and poachers. Rhino poaching has escalated dramatically in recent years and is being driven by the demand for rhino horn in Asian countries, particularly Vietnam and China. Although there is no scientific proof of its medicinal value, rhino horn is highly prized in traditional Asian medicine. Commercial poaching has become big business, thanks to the boom in populations and the “new wealth” in Asia. Rhinos were once abundant throughout Africa and Asia with an approximated worldwide population of 500 000 in the early twentieth century. Despite intensive conservation efforts, poaching of this iconic species has dramatically increased, pushing the remaining rhinos closer and closer towards extinction. South Africa is home to most of the rhinos left in the world and is heavily targeted by poachers. Rhino poaching has now reached a crisis point and if the killing continues at the same rate, we could see rhino deaths overtaking births in 2017-2018, meaning rhinos will go extinct in the very near future. The Western black rhino was already declared extinct by the IUCN (International Union for Conservation of Nature) in 2011, with the primary cause identified as poaching. All five remaining rhino’s species are listed on the IUCN Redlist species, with three out of five species classified as critically endangered. Three rhinos are poached a day in South Africa for their horns. The Black Mambas have identified and destroyed more than 12 poachers’ camps and 3 bush meat kitchens within the “buffer-zone” as well as reduced snaring and poisoning activities by 76% within their area of operation since their deployment in 2013. The schools are visited on a weekly basis and a different aspect based on the theme of the day is discussed to familiarize the learners with their natural environment in order to emphasize the importance to conserve the environment for future generations. 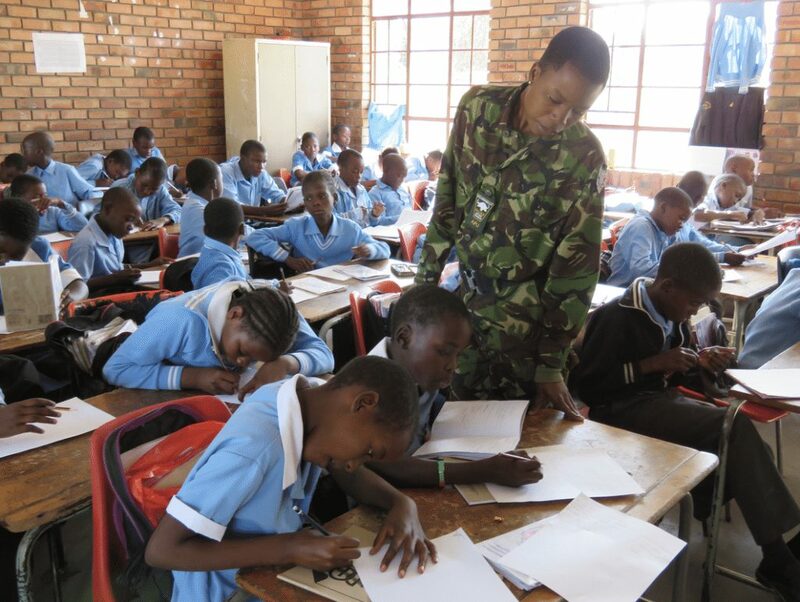 With the Tour my World theme, Transfrontier Africa volunteers, from around the world are taken to the classroom where they teach the Bush Babies about the fauna and flora found in their home countries. 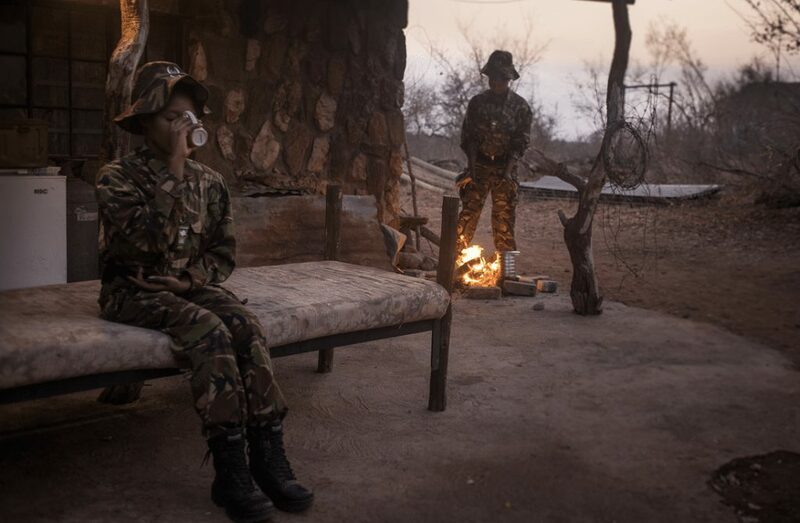 Black Mambas are not only anti-poaching rangers, but mothers who know how to nurture a child to understand the basics of life, thus helping them to realise the importance of looking after our environment. Whilst our Black Mamba Rangers salaries are subsidised by SANParks through the Environmental Monitor Program, the Black Mamba APU carry all additional costs and rely heavily on donations. By booking a tour you can help support these initiatives and enable the Black Mambas to continue their objectives. You will leave the lodge at 12h00 and return in time for lunch at approximately 15h00. Thanks for all the Black Mamba team does. I’ll be making a contribution which is far more important than wasting money on needless material gifts.